Visitors from out of town will typically recognize Anaheim as home to the “Happiest Place on Earth”, the Disneyland Parks. But what tourists may be surprised to know is that Anaheim is also home to dozens of attractions besides the Disney theme parks. Some of these attractions are appealing to families who are looking for alternatives ways to spend their vacation. If you’re wanting to visit Southern California, and you’re looking for different ways to spend time your time in Anaheim, take a look at some of the different attractions you can find in town. Anaheim Ice is an indoor skating rink and is the home of the Anaheim Ducks of the National Hockey League. Opened in 1995, the Anaheim Ice rink is known for its unique design, created by renowned architect Frank Gehry. 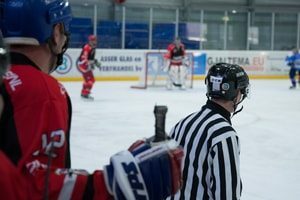 Locals and tourists alike can watch hockey games, figure skating events, as well as ice shows. The rink is open to the public for public skating events, skating lessons, sporting tournaments, as well as family events and birthday parties. One reason why Anaheim stands out in tourism is because of its numerous attractions meant for family fun. If the Disneyland Parks are out of your range, there are plenty of other exciting venues that offer budget-friendly fun! Billy Beez is a giant playground for kids filled with slides, ball pits, basketball court, jungle gyms, and activities centers for kids under 8. This is a fun destination for families looking to find an alternative to a theme park. Located in the heart of the Downtown Disney District, the House of Blues Anaheim is a live music and event venue that is also a restaurant. Fans can watch their favorites artist perform live while grabbing a bite to eat in the liveliest part of town. Sunday mornings are just as exciting as Saturday evenings because of the venue’s monthly Gospel Brunch, an event bringing local artists performing gospel music with an all-you-can-eat brunch. Do your kids ever dream of going to a place where they bounce off the walls and jump on trampolines all day? Sky Zone turnsthis dream into a reality by making trampoline jumping a fun activity for the entire family. The gym is a trampoline park that also has obstacle courses, game zones, dodge ball and basketball zones, and even classes that make it fun for kids and adults of all ages. Maybe you’re not much of a concert-goer or ice skater, but you’re more interested in outdoor activities such as hiking and bird-watching. The Oak Canyon Nature Center is located in a different part of town and allows out-of-towners feel like they are miles away from city life. Avid nature lovers can take their kids here for a nice hike and outdoor activities. The interpretive center showcases the plants and animals in the region and hosts many kids nature programs. Multiple trails vary in difficulty and ease, which make this center a great source of fun for families of all ages. 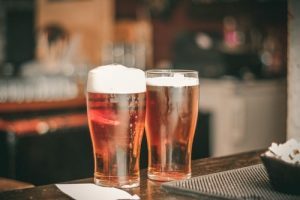 If you’re into craft beer and breweries, Orange County has plenty of places to visit for beer tourism. Anaheim Brewery has historical roots going back as early as 1870 and is known for its unique and authentically crafted beer. Locals love the brewery’s taster flight, which gives visitors a sample of various types of their beers such as the Anaheim Hefeweizen and the Anaheim Gold. The brewery is open from 5pm to 9pm on weeknights from Monday to Thursday, from 5pm to 11pm on Fridays, from noon until 11pm on Saturdays, and from 1pm to 7pm on Sundays. Once a citrus-packing house in the early 1900s, this newly-renovated warehouse was developed into open-space food court. The Anaheim Packing District is home to at least 35 artisans and food vendors. You can find grilled cheese sandwiches, poutine, Indian food, and handcrafted ice cream all under one roof! Are you a fan of baseball games? The Angel Stadium is home to the Los Angeles Angels Major League Baseball Team. 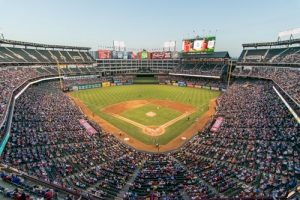 Families and fans alike can enjoy their time at the stadium and attend baseball games, sporting events, as well as concerts. The Angel Stadium was selected to host all softball and baseball events for the 2028 Summer Olympics in Los Angeles. Whether you are looking to find a new activity in the city, or you’re wanting a fun alternative to the Disneyland Parks, Anaheim presents plenty of budget-friendly opportunities to discover, explore, and experience entertainment. Looking for a source for quick cash? Title Loans Express can help! If you are visiting Anaheim and you’re looking for dining ideas, here is a guide to help you explore top local eateries.